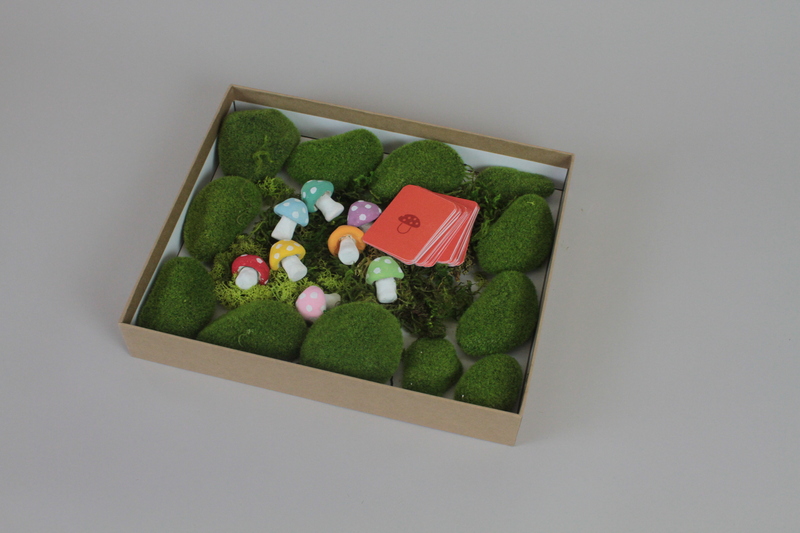 A game about hiding and finding mushrooms. 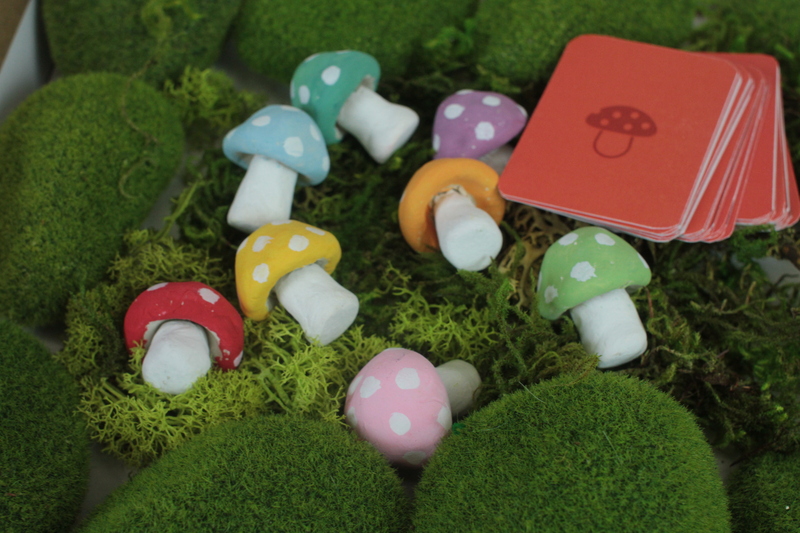 You are all lost in the forest and you have to find edible mushrooms before you starve! 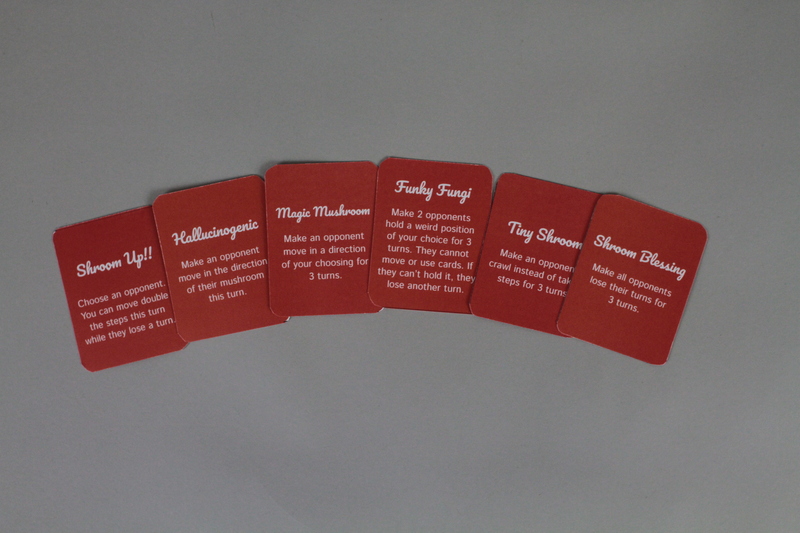 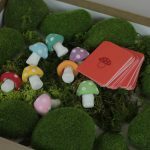 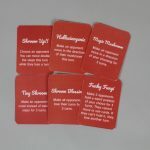 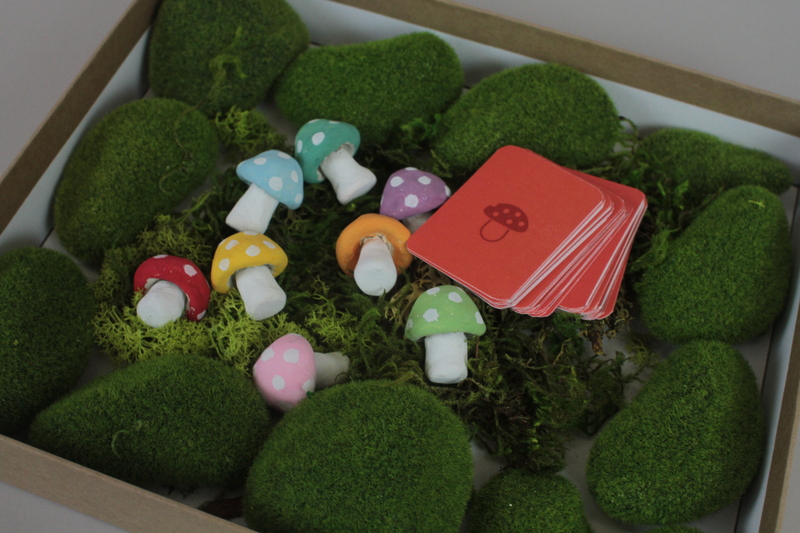 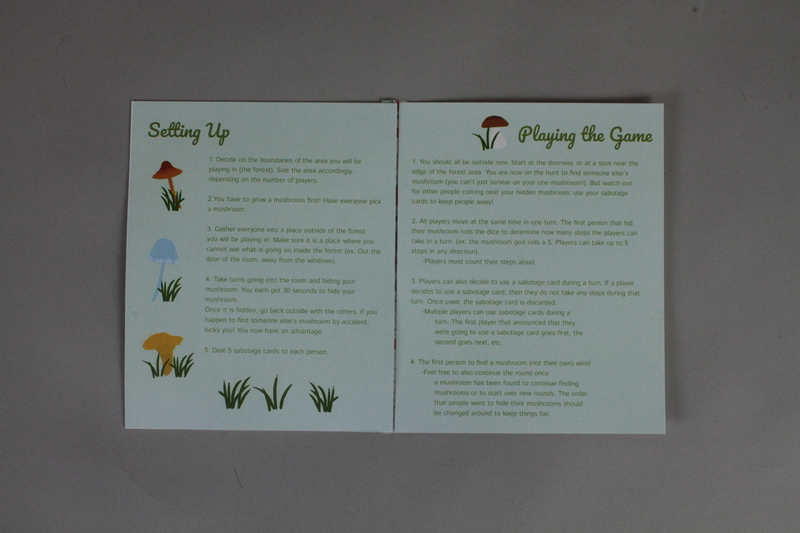 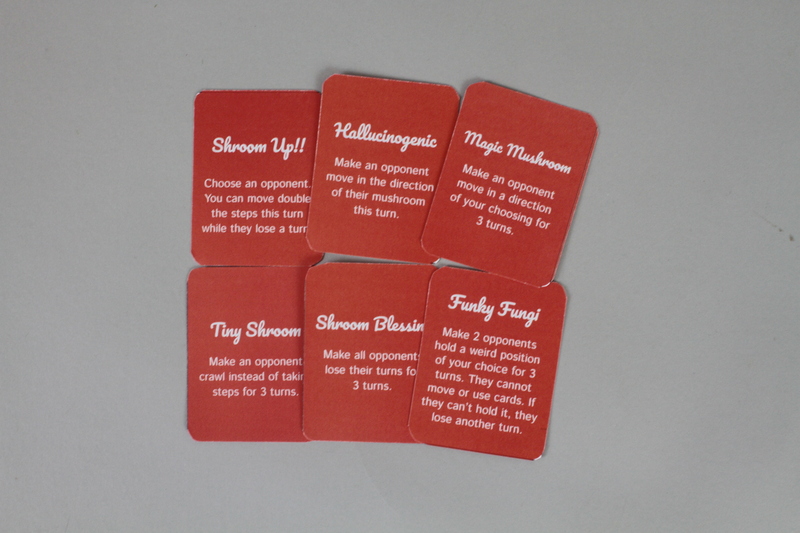 Players take turns hiding their mushrooms in a given area, then play the game by taking steps or playing sabotage cards during a turn. 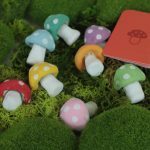 The number of steps players can take is determined by rolling a giant dice. 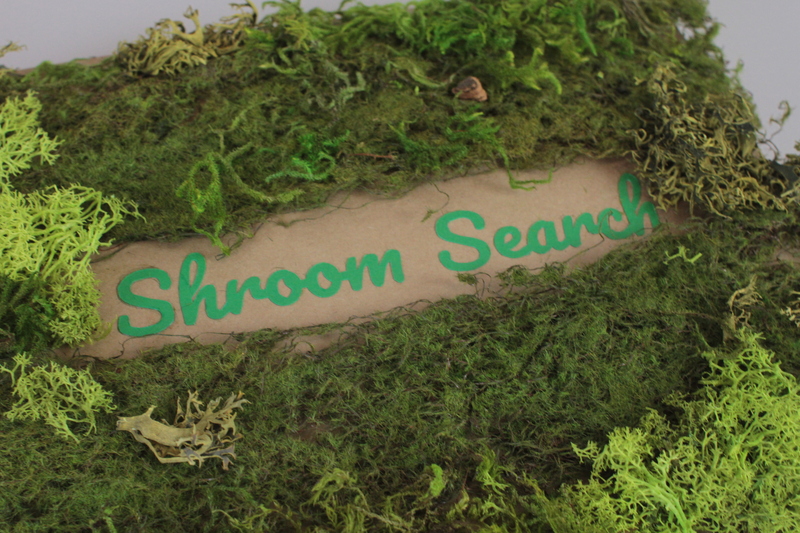 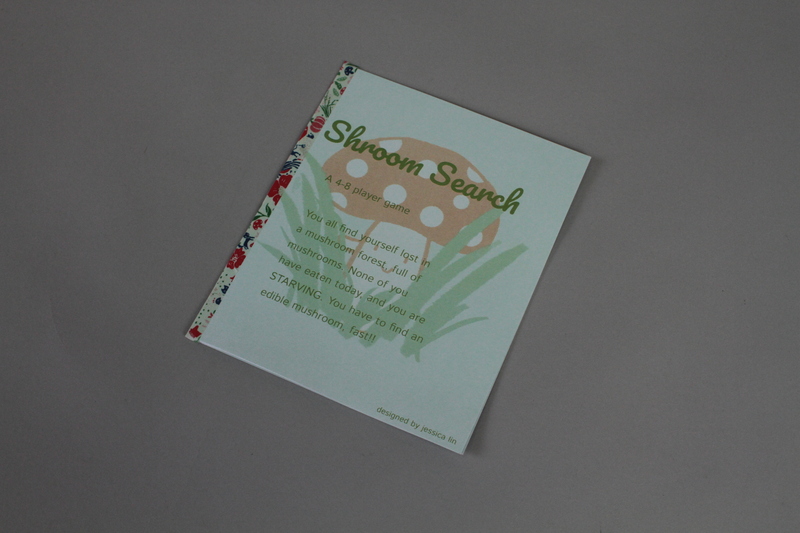 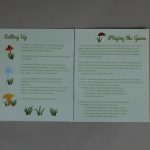 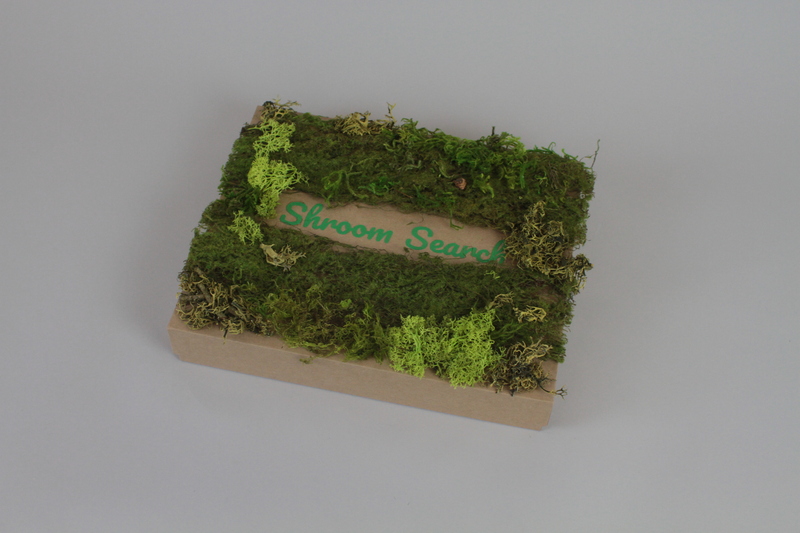 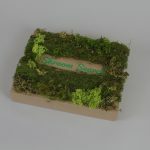 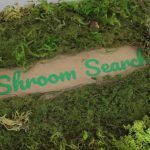 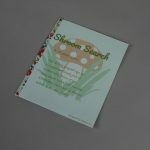 The goal is to find a mushroom; the first person that finds a mushroom wins!